Protect your iPhone 7 with the Incipio Haven Case in Frost. 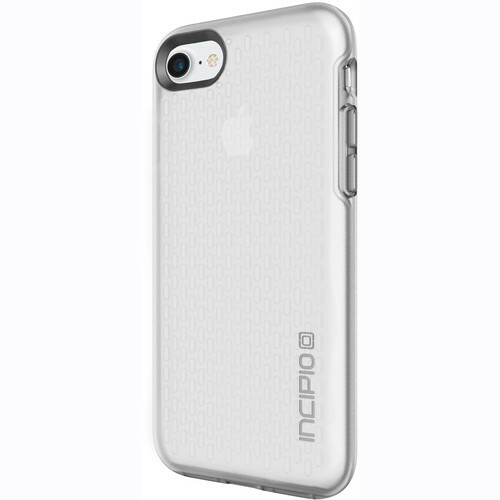 This translucent case features a suspension padded interior, helping your device resist bumps and falls. The interior is finished with a coating to help prevent dust and debris from scratching your smartphone. Box Dimensions (LxWxH) 7.8 x 3.95 x 0.85"
What's the material? Is it flexible or hard? There is some flexibility to the case. But not to the point where you can bend it in half.